After months of coaxing and coercing, five team leaders emerged and each presented 12 of their team’s digital images to be critiqued by our in-house judging panel – Ted Baker, Mike McWade and John Thomson. 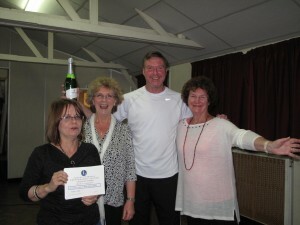 And the winners were ………. Sean’s Team – very well done!!! Alix, Joan, Sean and Angelica thrilled to have won!! 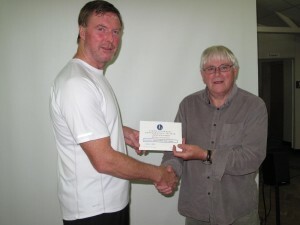 Sean (Left) proud to receive his certificate for Winning Team Captain from Bill Mc Donough!! Very many thanks, Bill, for organising a super evening which we hope will become an annual event!